Cast: and remember, the truth at once was spoken, to love another person is to see the face of god. I would think it would go without saying that a musical that announces itself as an ode to misery in its title, would be a fairly dramatic and depressing affair but apparently this isn't so. Some of what I'm hearing of Tom Hoopers extravagant restaging of the classic musical, LES MISERABLES, is that it is a relentless, melodramatic onslaught of singing out pain in your face for nearly three hours. Yes, it is most certainly all of this but it was designed to be precisely that. Whether they're forever running from the law or selling their body to feed their child or watching all of their friends die in the French Revolution, these people have every right to be as anguished as they are. And what better way to deal with this pain than sing about it? LES MISERABLES has a massive following. It has been staged thousands of times and has played to audiences around the world for over thirty years. And yet, this is the first time it has been attempted on film, as a musical anyway. 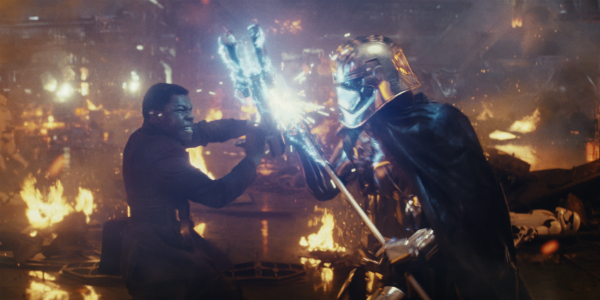 To say that anticipation for the film has been high would also a be a great understatement. Now that it is finally here though, will purists be happy? I suspect not actually. Hooper decided to have his incredibly diverse and talented cast, from Hugh Jackman to Anne Hathaway to newcomer, Samantha Bark, sing this intensely difficult show live on set rather than record first in studio and then lip synch on set. While the effect itself is most often very intimate and emotionally engaging, some of the musical prowess is lost amidst the emoting. While Hathaway's performance of "I Dreamed a Dream" is deeply moving, I am sure some will wish there was more clarity to her belt and less cracking in her voice from crying. All the same, the film does feel more spontaneous than most film musicals so while the decision will polarize some, it is still brave and commendable. Many an eye is on Hooper here as LES MISERABLES is the follow-up to his Oscar-winning work on THE KING'S SPEECH. While that story was a grand one, it was still told on a much smaller scale. LES MISERABLES may have been a tad bit much for him to handle. Set against the backdrop of the French Revolution, this is the story of one man's struggle to forge out a life in times of strife and suffering. 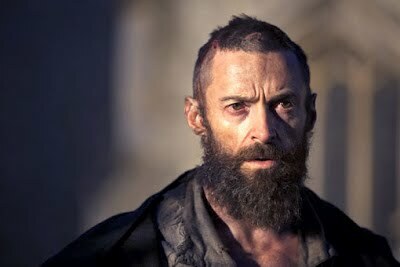 Jean Valjean (Jackman) once stole a loaf of bread and he has been paying for it ever since. 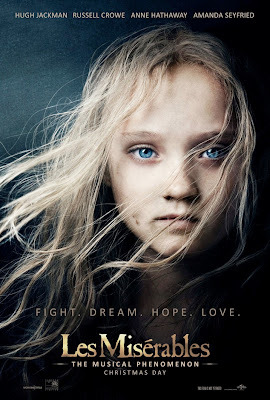 While pretending to be someone he is not, he takes in Cosette, a young girl (played as an adult by Amanda Seyfreid) when her mother (Hathaway, who shines like you would not believe) passes away. When Cosette falls in love with a revolutionary (a dapper and delightful, Eddie Redmayne), Valjean does everything in his power to ensure they are together. While Hooper has a strong handle on his characters, his French Revolution feels slight at times, hardly like the source of all their misery. 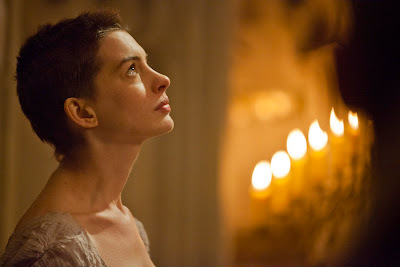 What I love about LES MISERABLES is the inherent sense of hope in the music itself. The poor sing of how the end of the day brings nothing but another day to a close at first and later, albeit still suffering greatly, sing of how they long for one day more. And what with all the political unrest and death and disease in the streets, to speak of things like love seems entirely frivolous at first but eventually love is the only thing that makes any sense. For it is true what they say, to truly know happiness, you must experience LES MISERABLES first. I am really looking forward to seeing this movie after all of the great movie reviews I have seen for it.